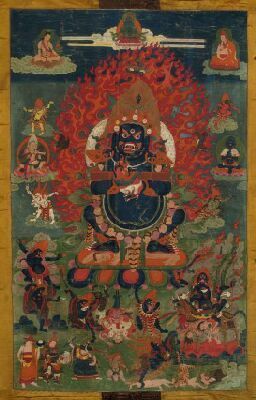 Completed—EMPOWERMENT OF BLACK MAHAKALA on Sunday, November 17th at 1:00 p.m.
Lama Kunga Rinpoche will kindly bestow the empowerment of the two-armed black Mahakala at Ewam Choden on Sunday, November 17, at 1:00 p.m. This is Vajra Panjarnata Mahakala (Vajra Pavillion) associated with Hevajra. The requested donation is $30. and dana to the Lama is separate. Please arrive early to register, and be considerate of neighbors when parking. This event is open to everyone. Completed—ANNUAL MEMORIAL PRAYERS at Ewam Choden on Wed. Nov. 20th at 7:00 p.m.
Lama Kunga Rinpoche is conducting the annual Memorial Prayer service at Ewam Choden. This is a gathering to offer prayers for those sentient beings who have passed on. The event is open to everyone. You may bring a photo of a special person or animal you wish to include. The gathering begins at 7 p.m. and lasts for about one and a half to two hours. Rinpoche will lead the October 5th, Saturday morning Chenrezi meditation at Tharpa Cho Ling. 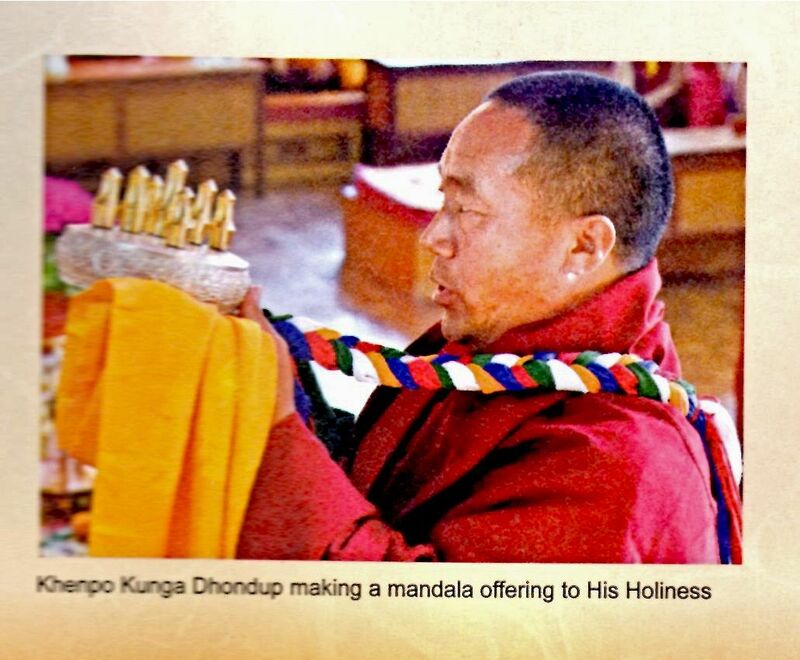 The Sangha will then have an opportunity to meet Khenpo Kunga Dhondup, visiting from his monastic and educational center in Nepal. (See the separate article for more information about this.) They will return to Ewam Choden for the Sunday practice and meeting. On Sunday, Oct. 6th, after the completion of Ewam Choden’s weekly Chenrezi compassion meditation practice, we will have the opportunity to hear Ven, Khenpo Kunga Dhondup speak about the Pema Ts’al Monastic Institute in Pokhara, Nepal. This is the monastery and teaching center that he and Khenpo Pema founded in 1999. It was consecrated by H. H. Sakya Trizin during a trip to Nepal in 2012. Information about the monastery, Pema T’sal, can be found at www.pematsal-sakya.org. Everyone is invited to attend. A potluck lunch is being hosted!